If you’re just dipping your toes into the art of cheese making, or if you have some experience under your belt, Artisan Cheese Making at Home by Mary Karlin should be the only book you’ll need to complete your toolkit. This detailed guide to cheese making is a gorgeously presented, all-in-one picture book, text book, recipe book and inspiration for anyone interested in getting serious with fresh dairy. The book begins with a detailed outline of equipment and supplies available, a chart of cultures and each one’s specific purpose, and all basic lessons in the alchemy of culturing. This one is a dense chapter that you’ll reference again and again. The beginners’ chapter is chock full of all of the information and recipes that a newbie could possible dream up – ricotta, yogurt, cottage cheese, and more “exotic” varieties like haloumi, mascarpone, and goat feta. To make the dough, combine the all-purpose flour, almond flour, sugar, and salt in a bowl. Using a pastry cutter, cut the cold butter into the dry ingredients until the pieces are the size of a pea and still visible. Slowly add 6 tablespoons of the ice water and stir to incorporate, adding more water as needed until the dough comes together and forms a ball. You may not need the full amount of water. Do not overwork the dough. Once the dough holds together, form it into a 6-inch disk, wrap tightly in plastic wrap, and refrigerate for 30 minutes or up to overnight. To make the filling, in a large skillet over medium-high heat, heat the olive oil, then add the bacon and cook, stirring often, until the bacon is crispy and the fat is rendered, about 7 minutes. Set aside on paper towels to drain. Remove half of the fat from the pan, add the onion and shallots, and sauté until lightly caramelized, about 7 minutes. In a bowl, combine the maple syrup, vanilla, and cardamom. Toss the pear wedges in the syrup mixture to coat, then leave them to soak in the mixture. Working on a sheet of parchment paper, roll out the dough into a rough 14-inch circle. Lift the parchment with the dough onto a baking sheet. Leaving a 2-inch border, evenly distribute the bacon-onion mixture over the the dough. Place the pear wedges in a decorative pattern over the bacon-onion mixture, overlapping if needed. Fill in the center with small pieces of pear. Reserve the maple syrup mixture to use in the glaze. Moving around the tart, fold the edges of the dough toward the center and over the filling, pleating it as you go to securely enclose the filling. Place on the lower rack of the oven and bake until golden, 20 to 25 minutes. 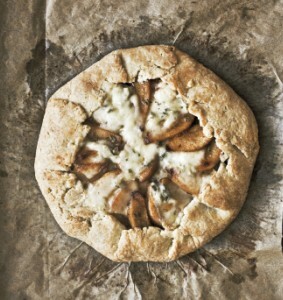 Top with the wedges of blue cheese and bake for another 10 minutes, or until the crust is crispy and very golden and the pears are caramelized. Meanwhile, make the glaze. Combine the reserved maple syrup mixture, sugar, water, and chopped rosemary in a small skillet over medium-high heat. Bring to a low boil and cook until the sugar is melted and a slightly thick syrup is created, about 10 minutes. Remove from the heat and allow to cool for 5 minutes. Using a pastry brush, spread the glaze over the top of the galette. Let cool for 15 minutes, then cut and serve. Reprinted with permission from Artisan Cheese Making at Home: Techniques & Recipes for Mastering World-Class Cheeses by Mary Karlin, copyright © 2011. Published by Ten Speed Press, a division of Random House, Inc.
Be sure to visit the Q&A section on the Artisan Cheese Making web site where Mary invites a further conversation about the book and the processes outlined in it. 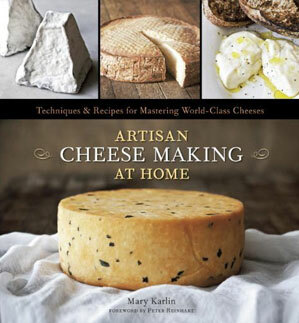 From her detailed writing on the art of cheese making Mary Karlin is clearly passionate about artisan food. In a brief phone conversation with her, I learned that she is also committed to teaching skills like cheese making to make one’s community stronger and more empowered – something that is right up our alley, too. Is there a place in your community where you can learn food skills like cheese making? Canning? Cooking? 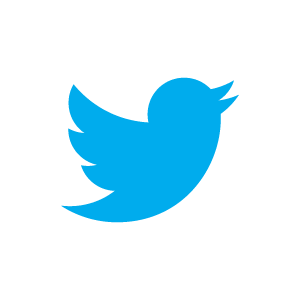 If so, tell us about it? If not, we want to hear that, too! Leave a comment with your response, and be entered to win a copy of Artisan Cheese Making at Home. We’ll choose a winner on October 18th!